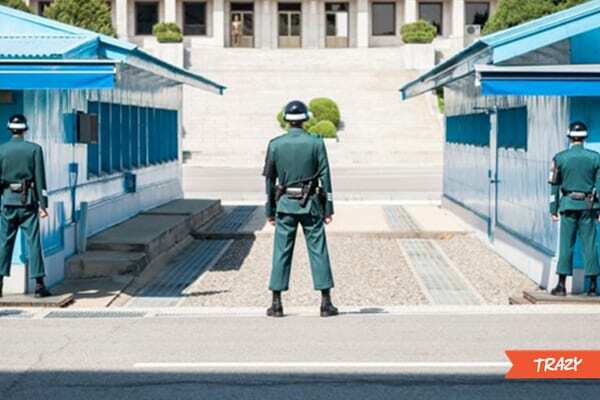 Visit Korea’s DMZ, the most fortified border in the world! Despite what you hear about the relationship between South Korea and North Korea on the news and through the media, it is not as tense as it is depicted. 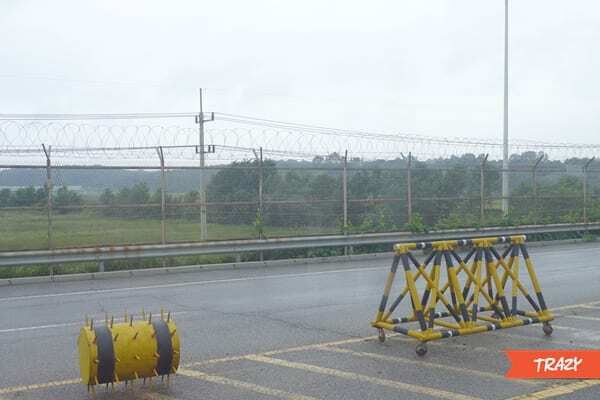 In fact, the DMZ (Demilitarized Zone), which is North and South Korea border, is one of the most popular destinations among the foreign travelers and tourists to Korea. For those who wish to visit DMZ in Korea, here’s what you need to know when traveling to DMZ. After Korean War, a truce line was drawn across the Korean Peninsula and a ceasefire was put into place, which means the North and South Korea are still officially at war. It has been more than 70 years since the South and the North were divided and there were times when several incidents heightened the tension between them. Nevertheless, it is doubted that these two nations would go to war in the future (hopefully). 2. What is DMZ? Is it really dangerous? 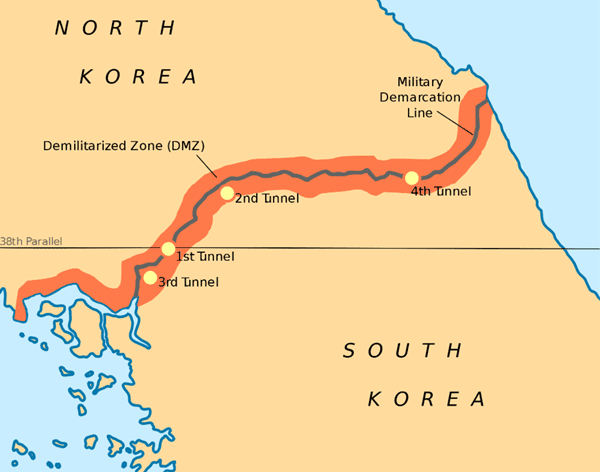 For those of you who are unfamiliar to DMZ, it is a buffer zone between the two Koreas that was established on July 27, 1953, when the Armistice Agreement was signed during the Korean War. Dividing the country into South and North Korea this strip of land across the Korean Peninsula is 250 km (160 miles) long, and about 4 km (2.5 miles) wide, and military activity is forbidden in this area. Untainted and undisturbed for a long time, the zone has become a haven for wildlife and endangered species today. And no, it’s not as dangerous as many of you may think. It’s quite peaceful and even safe, actually, if you look out to the land stretching before you. Well, at least the zone and the surrounding areas are. 3. How do I get into DMZ? Civilian access to the DMZ is strictly controlled. So when anyone says they visited the DMZ, it means they went to the designated tourist sites in the area. Even private cars and taxis are not allowed! 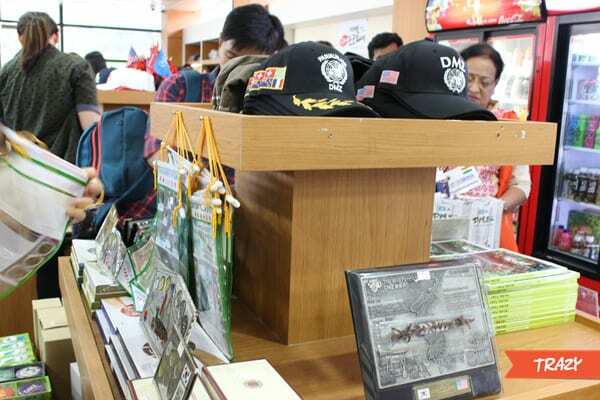 The only way you can visit the DMZ is through tours offered by select travel agencies. And for DMZ tours, booking in advance is highly recommended. You can find and book DMZ Tours here. 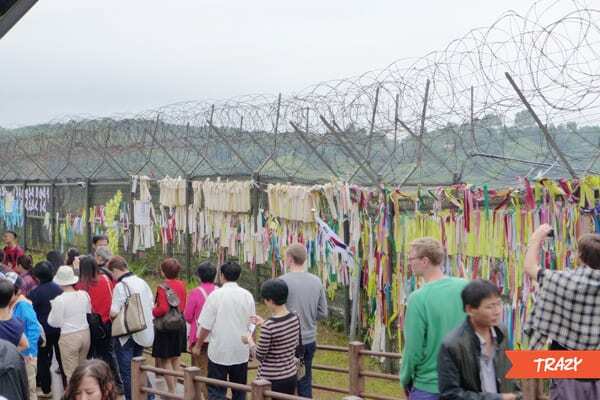 As North Korea still remains as one of the most isolated and secluded countries in the world today, DMZ tour offers a great opportunity for you to sneak peek at what’s beyond the border from the South and also learn about Korea’s tragic history. 4. 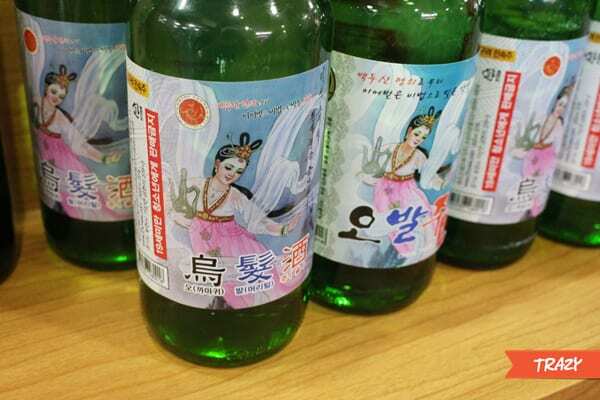 What should I bring when visiting DMZ? All visitors, both locals and foreign visitors alike, must bring an ID card, a passport, or other types of documentation (Application Registration Card (ARC) for example) for identity check purposes on the day of the tour. 5. What can I see during the DMZ Tour? 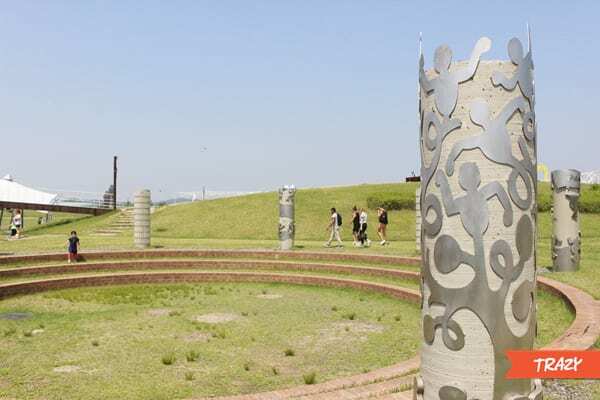 Usually, the DMZ Tour starts off or ends at the venue called Imjingak Resort and Nuri Peace Park, an hour and a half drive away from Seoul. 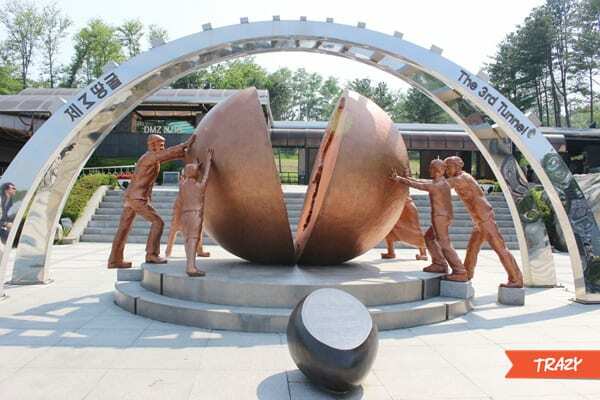 Located 7 km from the Military Demarcation Line (MDL), the land border between North Korea and South Korea, this area is open to foreigners and locals to visit without going through any security checkpoints. Today, Nuri Peace Park is a great place for couples, friends, and family to spend time and relax. This beautifully decorated area with artistic sculptures holds performances time to time. You can also see tanks and war crafts used during the war. How cool!There’s even an amusement park near the Nuri Peace Park (you can reach it within 5~10 minutes on foot) where you and your whole family will have plenty of fun as well. Built in 1972, this three-storied building is called Imjingak, which is surrounded by several monuments, Unification Park and North Korea Center. Inside the building, you can see exhibitions and collections of various relics and monuments related to the Korean War and subsequent South-North confrontations.In front of Imjingak, you can find this old train that used to take passengers to the northern end of the Korean Peninsula before the two Koreas divided. 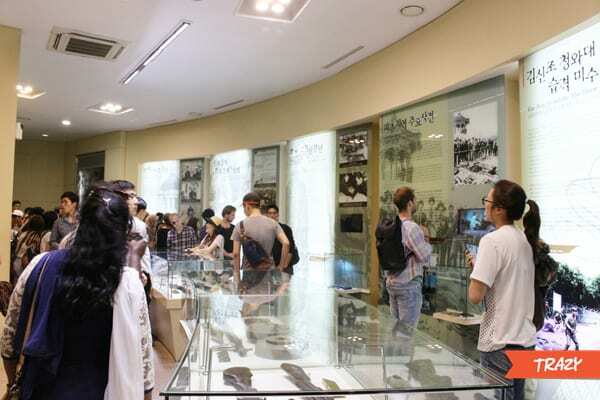 After passing the security checkpoint, you will be able to visit tourist sites like the DMZ Exhibition Hall, which consists of a theater, Special Exhibition Hall, and many other facilities. Inside the Special Exhibition Hall, you can find photographs and other materials found within the DMZ as well as this guy below. 7. Explore the Third Tunnel! It’s scary but fun! 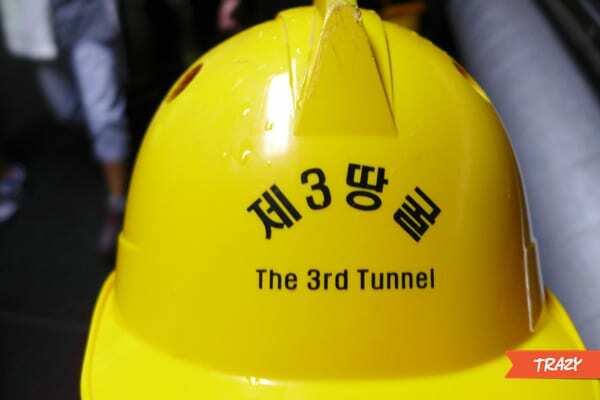 The 3rd Infiltration Tunnel, or mostly known as the Third Tunnel, is an underground tunnel dug by the Northern army for a surprise attack on Seoul, which is located only 52 km from Seoul! The tunnel is 1.64 kilometers long, 2 meters high, 2 meters wide and is about 73 m below ground. It is said that approximately 30,000 soldiers can move per hour through this tunnel. 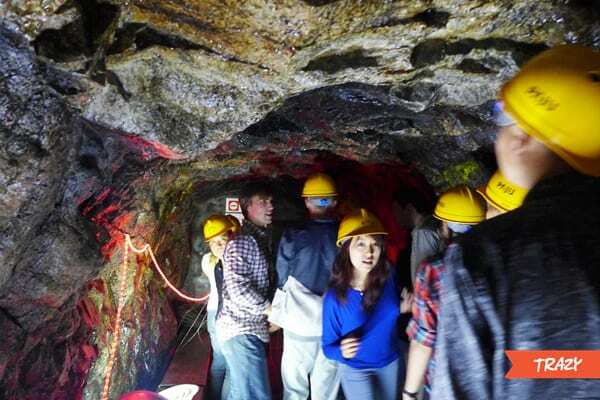 We strongly advise those with respiratory problems or is claustrophobic, not to get inside the tunnel. And wear proper shoes! You will definitely regret wearing flip flops or high heels once you go down the tunnel. Also, put your belongings (taking photos are not allowed inside the tunnel) in a locker before you enter. We can tell you that it is an easy way down but it’s going to be a long way back. 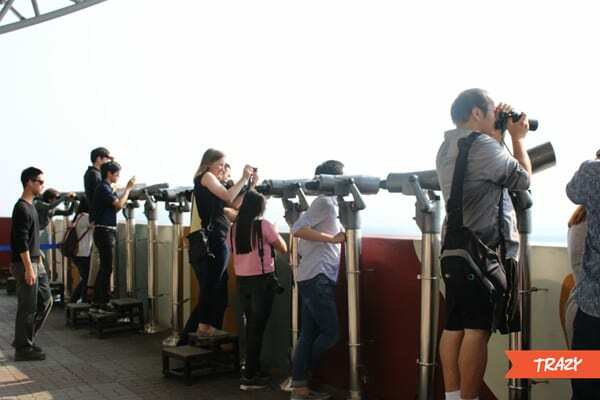 Dora Observatory is where you can look out to the Northern territory through binoculars.When the weather is great, you will be able to see the statue of Kim Il-sung and a village near Gaeseong City called Gijeongdong. Also, look for a flagpole that is listed on Guinness Book of Records as the world’s tallest flagpole, which is 160 meters tall!If you don’t want to miss out on this chance to see the North Korean territory, make sure you bring some coins for the binoculars! 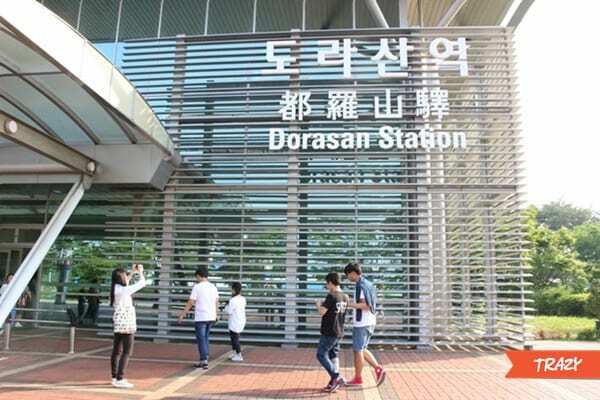 Dorasan Station is one of the northernmost railway stations on the Gyeongui Line that is 700m away from the southern boundary line of DMZ. Though it is not in operation yet, this train station stands as a symbolic place that gives hope to the people of Korea. 12. JSA & Panmunjom are even more strict! For those who want to feel and experience the more tense atmosphere, we highly recommend you to take this JSA (Joint Security Area) and Panmunjom Tour. There are more restrictions when visiting JSA and Panmunjom. For example, you’ll need a colored copy of your passport if your nationality is one of the following countries. To see the countries, click here. Panmunjom is where the two nations meet, and the JSA are the blue buildings where the negotiations are held since 1953. Here you can see the North and the South Korean forces standing face to face, which will be a very unique experience for you in Korea. This is what the conference room looks like, and these wooden conference tables are where the North Koreans and the United Nations Command (South Koreans and Americans) have discussions. Lastly, there is no other place in South Korea where you can get this close to North Korea and North Korean soldiers like the DMZ, so if you have the chance, you better take it. 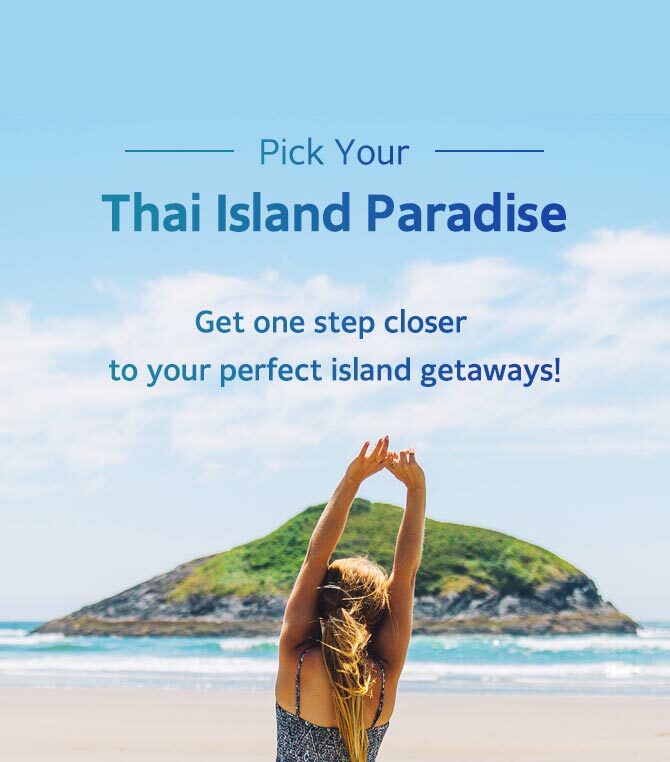 If you want to find out more tours, tickets and experiences in Korea, visit Trazy.com, Korea’s #1 Travel Shop! Next Post:SIM Card vs WiFi Egg: Which to Use in Korea? What value coins should I bring? Hi Blarthy 🙂 In order to use the binoculars, 500 KRW coins will be perfect!